72% of human trafficking victims are female, according to the United Nations Office on Drugs and Crime’s 2018 Global Report of Trafficking in Persons. Does this mean that human trafficking is a female problem? Of course not! Men are heavily involved in the exploitation of trafficking victims, and 28% of those victims are male, themselves. Unfortunately, within the movement, they are often overlooked. Elegantees, the company we know and love for its amazing annual Dressember collection, is drawing men into the fight in a creative way. FPR, which stands for: “Fight, Protect, Restore,” is a new line of men’s tees introduced in 2018 with the purpose of including everyone in the war against human trafficking. Katie created Elegantees in June of 2010. 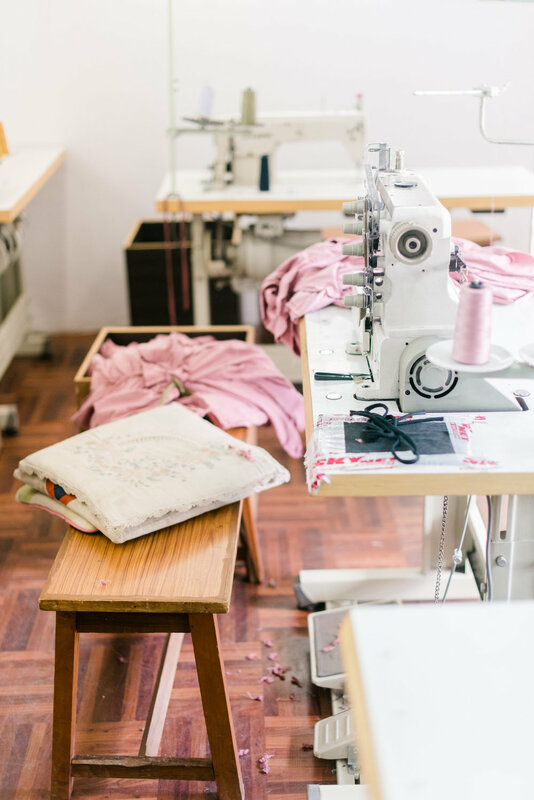 She learned about human trafficking as a student at the Fashion Institute of Technology and decided that her new business would aid a non-profit fighting this crime. Today, her company works with KI Nepal, which rescues over 20,000 women and children each year. Elegantees offers employment to women they counsel. Katie says it’s the work in Nepal that means the most to her. Today, Elegantees employs staff in two countries. In the U.S., the focus is on design, merchandising, photography, sales and marketing. 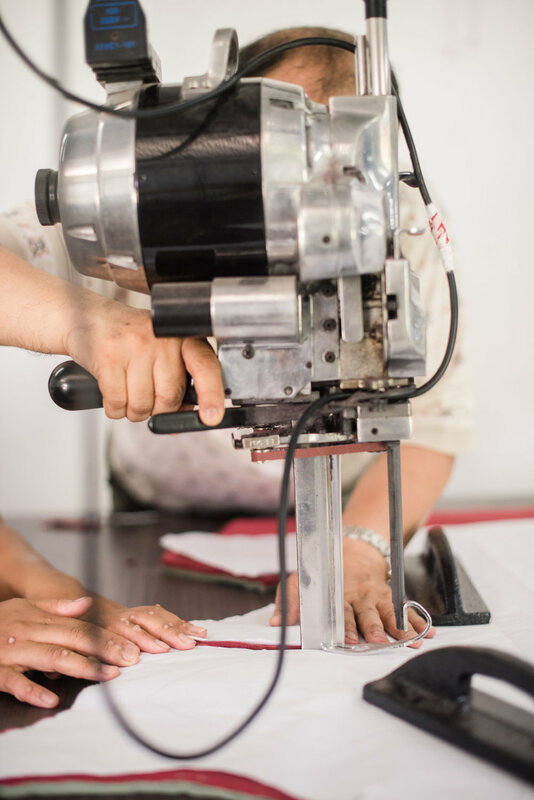 In Nepal, the focus is on sourcing and sewing. 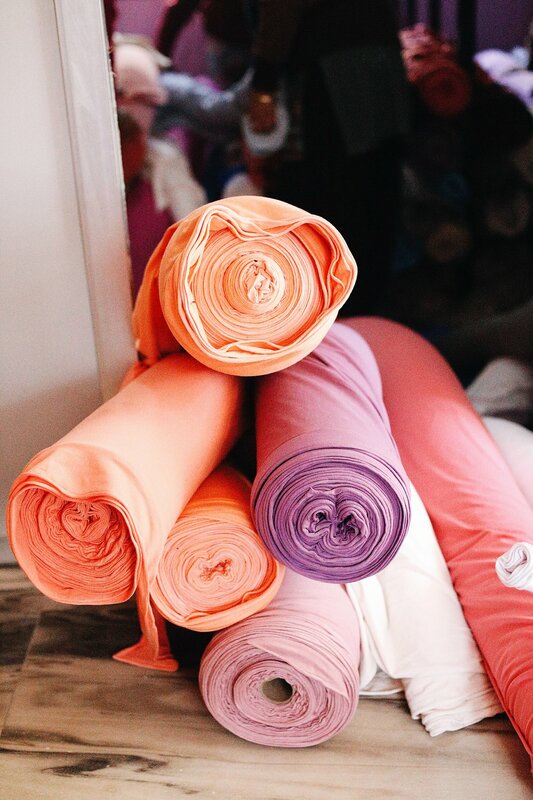 The process for creating items for Elegantees and FPR begins with the selection of Pantone colors for dyeing fabrics. Each month a small collection of designs is curated. Sketches are transferred into patterns, samples are adjusted, and a small production run of each style is made. On the Elegantees website, Katie credits her husband with the continued success of the company. It’s Israel who inspired her to introduce FPR, and they have big dreams for the line. According to Katie, Elegantees supporters are excited by the introduction of FPR. But there was one major roadblock in making FPR a reality -- the actual sewing of the tees. Katie and Israel have two children, and balancing work and family can sometimes be a challenge. Katie wants to encourage aspiring entrepreneurs like herself, so she shares Elegantees story on the website. It’s that “don’t give up” attitude that has allowed Elegantees to employ nearly 20 women in Nepal so far, and Katie hopes that number grows to 500. Her vision for the future is even more ambitious. Working together, we can make Katie’s dream a reality.